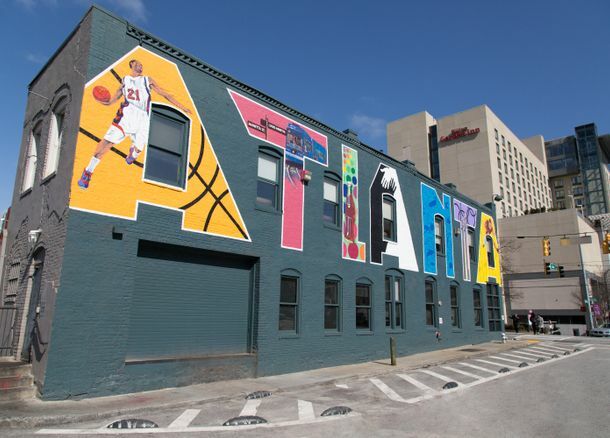 Located in the city’s urban center, Downtown is a vibrant hub and home to some of Atlanta’s most popular tourist spots. World-class attractions, hotels, restaurants and shops surround Centennial Olympic Park, Downtown’s centerpiece greenspace. Downtown’s avenues are walkable and connected to the must-see locations. Visitors and locals have the ability to take a stroll or hop aboard Atlanta Streetcar, eliminating the need to drive. Morning: Visit Georgia Aquarium to see more than 120,000 marine animals. Enroll in an interactive encounter to dive with whale sharks or shake hands with penguins. Head to World of Coca-Cola to taste more than 100 Coca-Cola products or to CNN Studio Tours to get a behind-the-scenes look at the first 24/7 cable news network. Lunch: Grab a bite at STATS, located across from Centennial Olympic Park in the Centennial Park District. Named among the “10 best sports bars across the United States” by USA Today, STATS serves all-American pub fare and local brews you can tap right from the table. ​Afternoon: Visit Center for Civil and Human Rights or Chick-fil-A College Football Hall of Fame. The interactive Center for Civil and Human Rights immerses guests in the American civil rights movement and brings visitors face-to-face with activists from around the world. Football pageantry reigns supreme at the high-tech College Football Hall of Fame. Engage in gameday fun through activities like Fight Song Karaoke, on-field football drills and more. Visit Atlanta.net/explore/neighborhoods/downtown to learn more about Downtown and Atlanta’s other diverse neighborhoods.